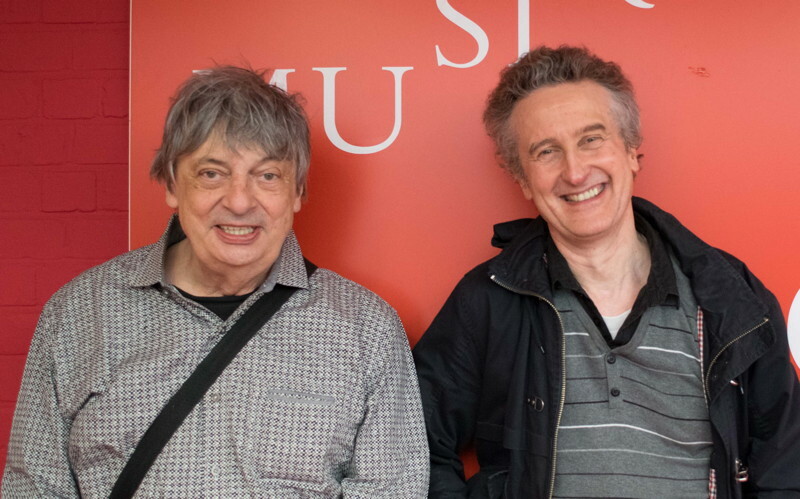 On the occasion of the International Jazz Day 2015, Philip Catherine and Michel Herr were invited by two different radio shows at RTBF (Belgian radio). After their respective appearances, they met in the hallway and these pictures were taken. 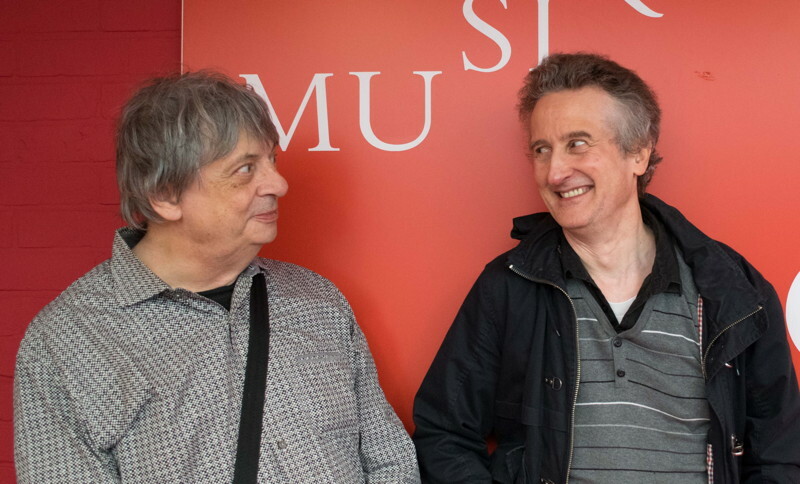 Philip Catherine (guitar), Michel Herr (arranger). RTBF Radio Studios, Brussels, April 30, 2015. Photo : Stevie Rose.